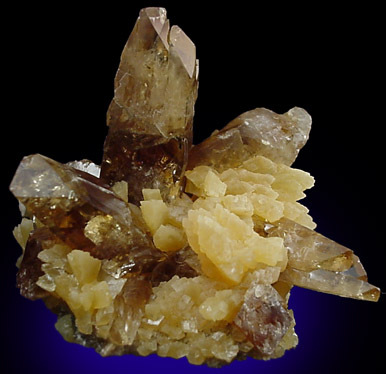 Description: Old specimen of golden barite crystals up to 25 mm long protruding off matrix covered with yellow calcite crystals up to 6 mm. 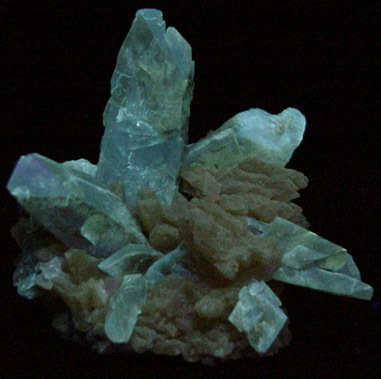 Fluoresces and phosphoresces blue-white under UV illumination. 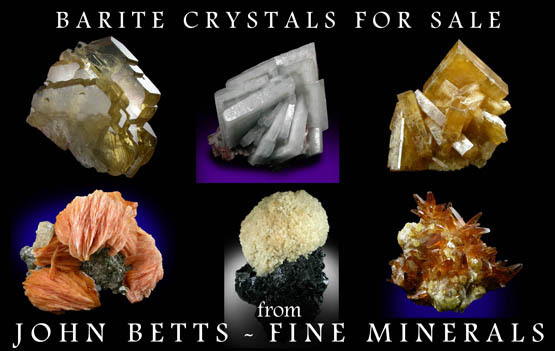 The barite crystals vary from transparent to translucent.